DECEMBER 2016 The New Fly Fisher has posted the show on Youtube. Enjoy! (March 2016) New Fly Fisher TV PREMIERING! The show will also air on PBS in the US. Broadcast dates TBA. Marten River Lodge (MRL) is excited to announce that it will host The New Fly Fisher TV Show this summer. 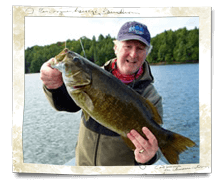 With support from Ontario Tourism, Northeastern Ontario Tourism and show producer Colin McKeown, host and director Mark Melnyk is scheduled to visit the lodge in June to shoot a program episode to air during the 2015/2016 broadcast season. While Marten River is reputed for its excellent walleye (pickerel) fisheries and fly fishing may be commonly associated with fishing for trout, there is a growing trend in fly fishing for all fish species. In fact, the Federation of Fly Fishers mandate states – All Fish, All Waters. The New Fly Fisher (TNFF) will be targeting small mouth bass which are also abundant in our rivers and lakes. Bass season opens each year on the fourth Saturday in June and fish become extremely active after the spawn. Now entering its 82nd operating season, Marten River Lodge is celebrating the 90th anniversary of its main lodge, dining and cabin #6 buildings which were originally built in 1925. “Our long history, heritage wilderness setting and serious fishing tradition present some great anecdotal elements for Colin, Mark and crew team to integrate into the show that will help highlight the total MRL experience and new opportunities for fly fishing anglers”, says lodge owner Ray Sapiano. 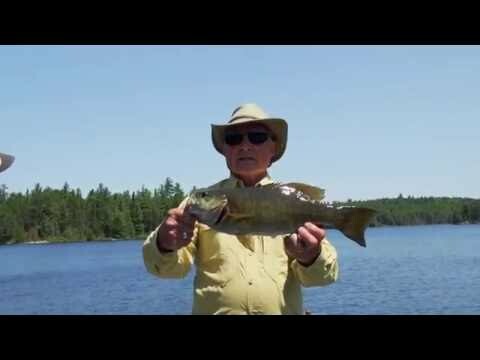 Marten River Lodge is the premier fishing and hunting lodge in the Temagami region catering to sportsmen, outdoor enthusiasts and their families. 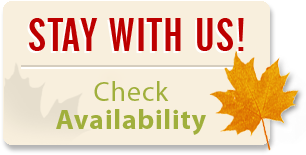 We offer a broad range of all-inclusive Housekeeping and American Plan adventure packages. 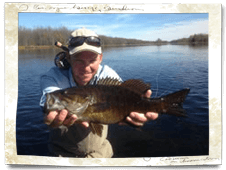 Earlier this year, MRL launched a partnership with Lakeland Airways to offer its guests new fly-in fishing adventures to 4 different lakes for bass and pike beginning this season, adding to its menu of Ultimate Outdoor Adventures.